If you think that your roof needs new shingles, new gutters, or work done on the chimney, you may be tempted to do these tasks yourself; however, it is often best to let a trained professional do them for you. This will enable you to save time, save money, and ensure that the job is done properly and safely. 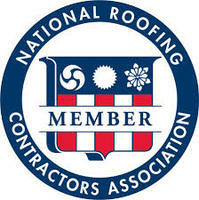 During rainy or snowy weather, water and moisture forming on the roof can make it slippery, which could lead to falls. Even if you are wearing a harness, you could still suffer a serious or long-lasting injury if you slip or fall off of the roof. In addition, walking on shingles or clay tiles could damage them, which could lead to additional work and extra money being spent unnecessarily. While you may be able to replace a few shingles, you may find that the extent of the damage is much worse once the shingles come off. In most cases, a roofing professional is needed to repair damage to the roof's deck, flashing, or truss. A professional contractor may also have contacts in supply companies, which means that they can purchase shingles, decking material, and other materials cheaper than you could. Working on a roof may be too strenuous for those who are not in the best shape, those who are sensitive to extreme heat or cold and have health conditions. A professional contractor understands how hard the labor can be and has a crew that is trained and ready to handle all aspects of the work. Instead of putting your well-being in jeopardy, it may be safer to let a trained professional do the work for you.